The Pink Blossom Alliance’s events aim to bring girls and parents together through events that allow everyone to get inspired and get involved. Courtesy Dena McClain. Dena McClain recalls the moment inspiration hit her not like a gentle tap, but like a ton of bricks. With a young daughter of her own and a niece just a few months apart, McClain said she couldn’t stomach the idea of letting them grow up in a world where they didn’t feel accepted and loved for who they were, regardless of skin color. Looking into the Pretty Brown Girl organization, McClain met founder Sheri Crawley at a local convention and started the process of establishing her own chapter. 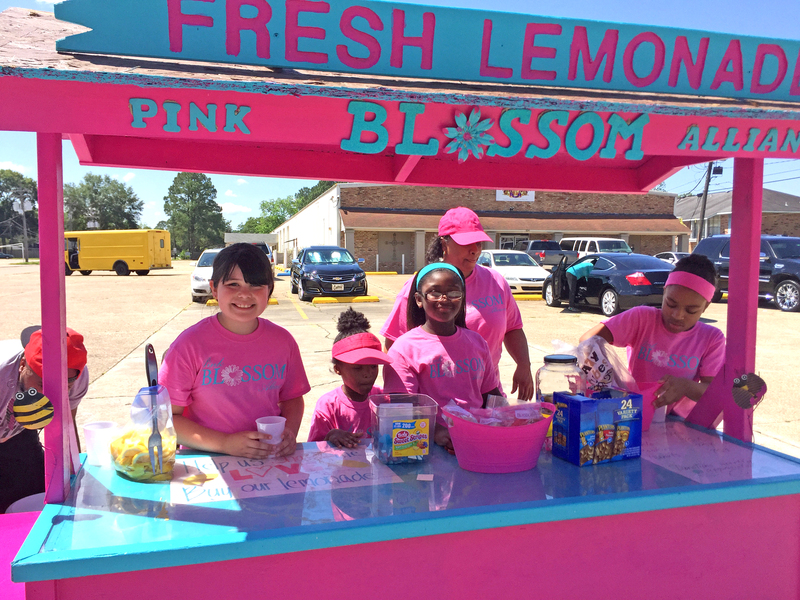 Each year, the Pink Blossom Alliance takes part in Raising Cane’s Lemonade Day as a way to learn entrepreneurial skills and introduce the girls to new career paths. Starting with weekly club meetings that featured speakers like healthcare professionals, domestic violence advocates and stylists who would discuss topics including hygiene, bullying, careers and more, the original goal of the group was to tailor talks to the individual needs of the girls who attended the sessions. Maintaining a monthly support group, McClain and her team have also hosted events like Tiaras & Bowties, a father-daughter dance focused on teaching fathers the value of lifting up their daughters through positive language and presence, and Tea with Michelle Obama, in which girls dressed up as famous women from Louisiana to learn more about the boundless possibilities available to them. And while each event is different, McClain says her goal is to reinforce and strengthen girls’ self-confidence and curiosity by offering opportunities to help them get creative and engage with an ever-expanding support system. McClain says she hopes to eventually move the Pink Blossom Alliance into a permanent space for holding meetings and casual afterschool programs. However, McClain notes that it’s all about taking it one step at a time. To get involved, visit pinkblossomalliance.info.